An innovative CSU program that helps students gain valuable employment skills while earning an income to support their studies has proven such a success it will be rolled out to other campuses. 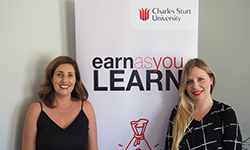 The Earn As You Learn (EAYL) initiative was piloted in Bathurst last year and will now be expanded to CSU’s Wagga Wagga and Port Macquarie campuses. EAYL Coordinator in the CSU Division of Student Services, Ms Georgina Stuart, said the free initiative connects local employers with students keen to boost their income while gaining practical employment experience. “Last year, many of the students who secured casual and part-time jobs through this program were employed in less than a week,” Ms Stuart said. “This benefits local businesses who are looking to fill vacancies quickly and easily, while also helping students manage the financial pressure of tertiary study. "Students also gain practical work skills and experience that will give them a head-start when they complete their studies and embark on their future career, feedback shows students who participate in the program also tend to have higher retention rates. "We found the students who participated in our pilot were less likely to withdraw from their studies and we believe that alleviating the financial pressure of university life plays a big part in this – especially for those living away from home or supporting themselves,” Ms Stuart said. This year EAYL workshops will be held in February, March and July for on-campus students in Bathurst, Wagga Wagga and Port Macquarie. The free two-day interactive workshops provide students with the skills and confidence to ensure they are job-ready, including advice on writing resumes and preparing for interviews, customised online job-searching tools, exclusive networking events with local employers, plus the opportunity to undertake free accredited training, such as the first aid certificate and responsible service of alcohol. “This year we are thrilled to have CSU alumni and local business entrepreneur Kristy Withers of Incy Interiors as one of our guest speakers at our Bathurst workshop,” Ms Stuart said. “I currently employ two recent CSU graduates and am fully aware that CSU prepares students to hit the ground running in their graduate career, but I’m thrilled to be involved in a program that starts the process earlier – by getting new students ready for casual or part-time employment while they study,” Ms Withers said. CSU Bachelor of Business student Saskia-Jayne Handley signed up for the EAYL pilot last year and hasn’t looked back. “The EAYL team helped me to identify job opportunities that really suited my capabilities and personality that I wouldn’t have recognised on my own,” Ms Handley said. 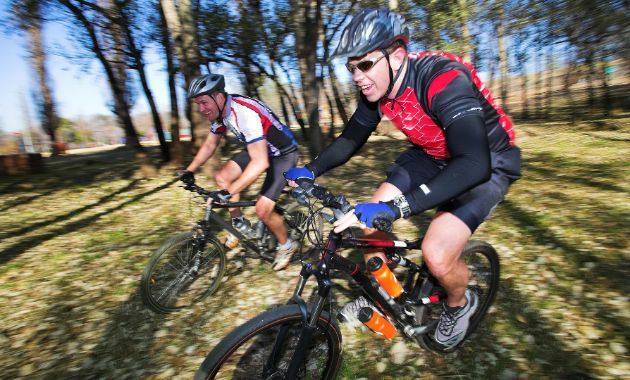 Many local businesses have already registered in the program, which provides free access to suitable candidates for casual, short-term and part-time vacancies. “Businesses are not only helping students kick-start their careers, they are saving on recruitment costs and gaining access to employees with developing skills in marketing, communications, education, health care, accounting and IT,” Ms Stuart said. Picture (L-R) Ms Kristy Withers and Ms Georgina Stuart.